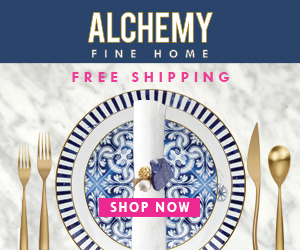 We all need to eat. And to enable that function, we all need to go grocery shopping. Sometimes it can be fun, sometimes it can be a chore, but it is always, always, always Meme worthy. I have done this more times than I care to admit. Accidentally went to the grocery store hungry. Now I am the proud owner of aisle 7. And sometimes I’m lucky if it’s just aisle 7! Grocery shopping can be exhausting! 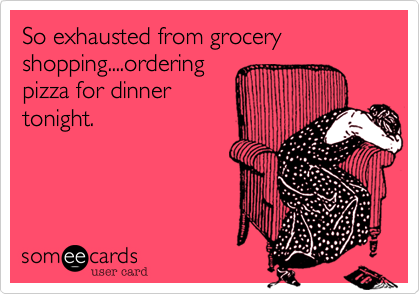 So exhausted from grocery shopping…ordering pizza for dinner tonight. That’s why they put it at the back of the store… just saying. This particular meme speaks so clearly to my life, that I wrought a post about it. 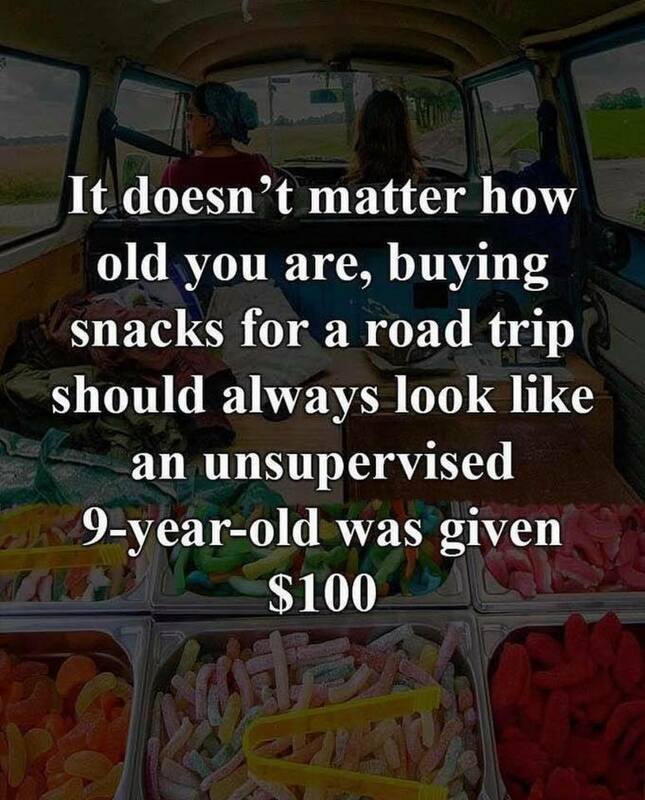 It doesn’t matter how old you are, buying snacks for a road trip should always look like an unsupervised 9-year-old was given $100. Few things test a parent’s patience more. 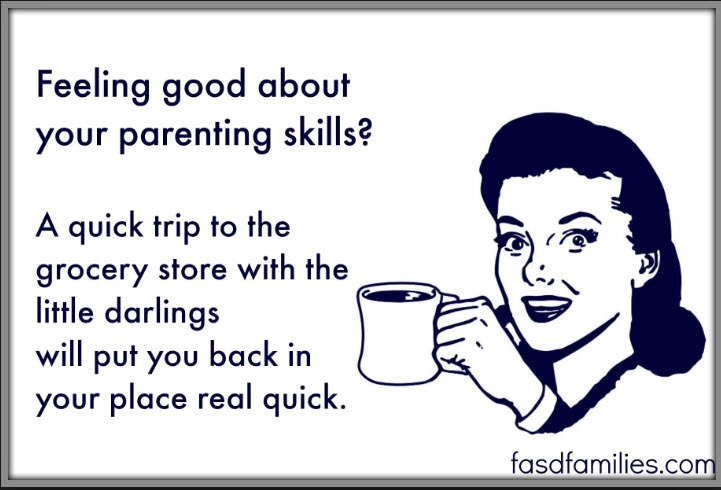 Feeling good about your parenting skills? 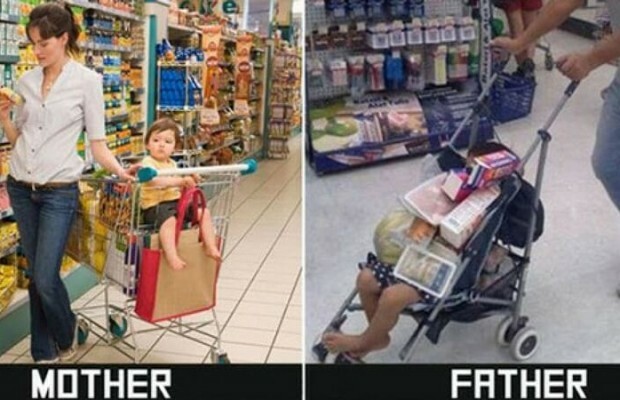 A quick trip to the grocery store with the little darlings will put you back in your place real quick.